Fourth and Final test match between host Australia and India will be played from Tuesday, 24th January to Saturday, 26th January, 2012 at Adelaide Oval, and the timing will be 00:00 GMT, 10.30 local, 5:30 IST. Australia leading the 4 match series by 3-0. India has a last chance to get some pride and avoid white wash similar against England last year. Sehwag will lead the team in the absence of Dhoni and have to play major role to avoid all the shame. 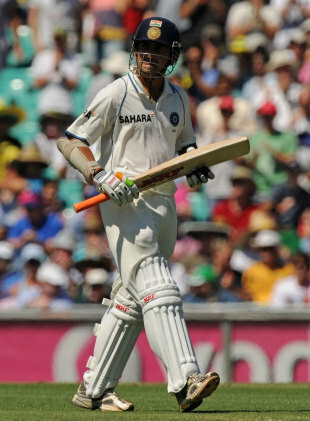 Tendulkar still awaiting his 100th ton while Dravid and Laxman playing their last test match in Australia. Saha is going to replace Dhoni while Rohit Sharma still has to wait. R Ashwin may return in place of Vinay Kumar. Australia after winning the test series eying for white wash before T20 and ODIs to boost their confidence. Cowann and Warner playing well at the top whileMarsh is struggling and veterans Ponting, Clarke and Hussey are in good form. David Warner, Ed Cowan, Shaun Marsh, Ricky Ponting, Machael Clarke,Michael Hussey,Brad Haddin, Peter Siddle, Ryan Harris, Ben Hilfenhaus, Mitchell Starc/Nathan Lyon.